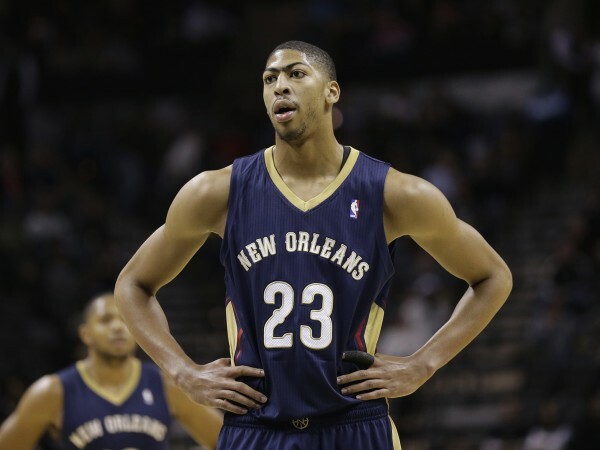 It seems that the arrival of Alvin Gentry to coach the New Orleans Pelicans will lead an attempt to turn Anthony Davis into an even more complete player, adding a 3-point threat to his arsenal. Davis is already one of the best in the NBA, ranked first in the league in blocks (averaging 2.94 per game), fourth in scoring (24.4), seventh in field-goal percentage (53.5) and eighth in rebounding (10.2). His is PER of 30.8 led the NBA last season and was the 11th highest in NBA history. What more can this guy do? Turns out Gentry, who was an assistant coach on the Warriors last season, helping them win a championship and widely considered as one of the best offensive minds in the NBA, wants more from Davis. A player who has taken a total of 27 3-pointers since being drafted, that’s an average of nine a season, is going to start moving to the corner and hitting those. Gentry isn’t doing anything new. In the 2009-2010 season, his best as a head coach, he helped the Phoenix Suns reach the conference finals. Part of the change he was in charge of included turning Channing Frye, a so-so big man up to that point, into a 3-point shooting machine. During the first four seasons of his career, Frye took a total of 70 3-point shots, hitting 28.6% of them. Under Gentry, he was encouraged to take 3-pointers, attempting 392 during the 2009-2010 season, making 43.9% of them. He has made 39% of his 3-point shots since (including) that season, averaging 4.9 attempts per game. It helped him land a nice fat deal with the Orlando Magic as well. Davis doesn’t need 3-pointer to land him a deal. He’ll be making $145 million over five seasons once his rookie deal expires. But he does need to bring more to the table for the Pelicans to be better, because they didn’t even come close to putting up a fight against the Warriors in the playoffs last year. Obviously, it shouldn’t fall all on his shoulders, but if there’s room for improvement, Davis is going to try and cover it as quickly as possible, and do the most he can to help turn the Pelicans into a more serious threat in the West.